This holiday bungalow surrounded by a sunny garden is a stone's throw away from the woods, dunes and sea. In the direct surroundings, there are plenty of playgrounds for children. 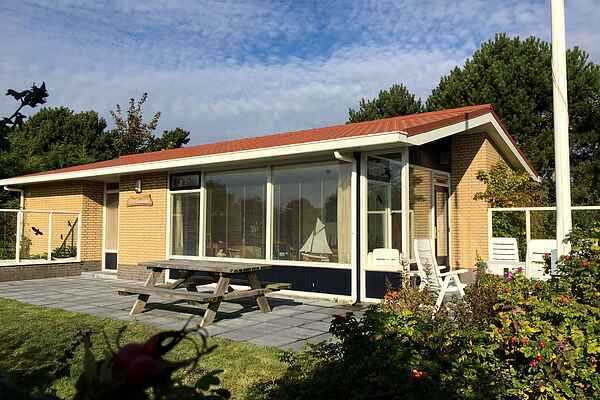 An ideal house for children from which you can discover Ameland. Characteristic of this accommodation is the very bright living room and the amazing sunny garden. The efficiently furnished living room has a cosy seating area and a large dining table, which you can use to dine with the whole group. The garden around the house consists of a large lawn and several sunny and shady patios where you can enjoy well-deserved peace and quiet. The holiday home borders the large dune nature park north of Ameland. Not far from your location, you'll find the smallest village of Ameland: Ballum. It's also certainly worthwhile to explore the vast area of the Wadden Sea. There's a reason they say it has more birds than all of Western Europe and Northern Africa combined.